Training in Microsoft Excel, Microsoft Office 365, Adobe, Oracle, AutoDesk, Articulate, Quark and other software products all from our on-site locations throughout the UK including London, Cambridge and Essex. Enliten IT specialise in delivering first class instructor-led tailored training programs on Microsoft and Adobe technologies. We provide businesses with professional, cost effective, software training throughout the UK and Europe. Our priority is ensuring your specific learning needs are met. Choose from: classic hands-on classroom style training: on-site courses (at your offices UK wide) using our mobile classroom; one to one sessions; scheduled courses or online eLearning for anytime, anywhere learning. We do not charge for bespoke course design or training needs analysis! Training should be an essential part of every organisation’s structure and culture. To ensure the best possible returns training and development activities have to be targeted, planned and managed properly. A Training Needs Analysis (TNA) is an analysis performed to determine areas of job performance in which an employee needs improvement. An assessment should be conducted before any training takes place and should be followed up by post course evaluation after the training event in order to determine the effectiveness of the training. Enliten ITs portfolio of high quality Microsoft Office, Adobe and Oracle titles enable you to learn at your own pace anytime anywhere. We can transform your conference/meeting rooms into a fully equipped training room, in a matter of minutes. Get your whole workforce trained effectively with eLearning, at their own pace and to their own time schedule. Providing you with the key business skills to succeed at work and give you the competitive edge. Use our free TNAs to identify employee skills gaps and target training more accurately. Quick Reference Cards (or cheat sheets) are a great way of providing a cost effective “Aide-memoire” for your staff. Increase employee productivity with the right designs for in-house applications and out-bound customer communications. Enliten IT have an extensive range of Microsoft Excel training courses to give you the skills to ‘Excel’ at work! Whether you are new to Excel, are self-taught or you think you know a fair bit, we’ve got a course for you. 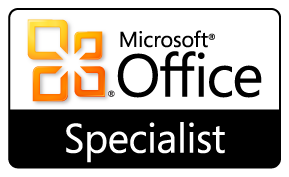 More information about excel training and office 365 training.